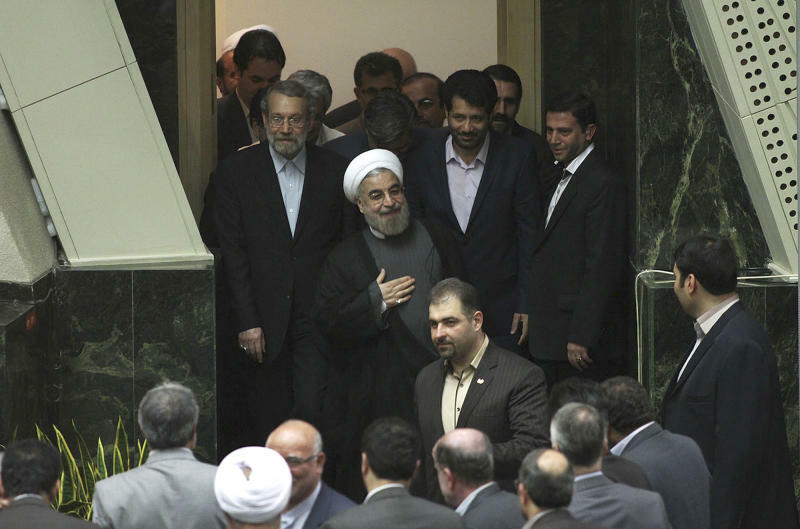 TEHRAN, Iran (AP) — Just days after Hasan Rouhani's election victory in Iran, his top advisers and allies gathered for a closed-door strategy session at a think tank run by the new president. The group, lugging spread sheets, notes and policy papers, also carried something new into the mix — an array of degrees from Western universities. "Studying in the West doesn't mean you would make concessions to the West," said Rasool Nafisi, an Iranian affairs analyst at Strayer University in Virginia. "What it does mean is that the level of understanding and ability to pick up nuances are much higher. The next step is seeing how much of that can translate into changes at the top with the ruling clerics, where it really counts." That leaves Rouhani — effectively the international face of Iran — with the task of projecting a new image of dialogue rather than diatribes on the world stage. Inside Iran, Rouhani has to adopt the role of salesman: trying to get Khamenei and the ruling clerics to buy into his views that interaction with Washington and its allies could bring dividends such as steps to ease tightening economic sanctions. 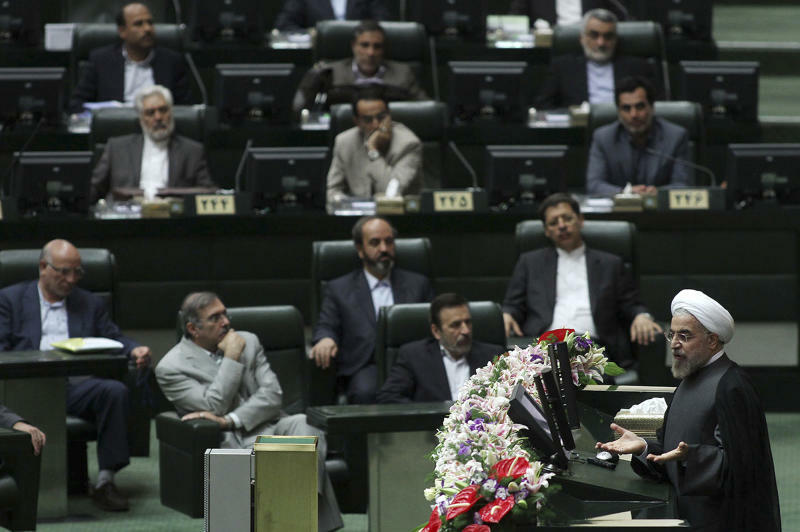 "The potential candidates ... are those who understand international relations and understand the language of the West," said Tehran-based political analyst Behrouz Shojaei. "This shows Rouhani is serious in seeking to ease tensions with the outside world and improve Iran's economy." But Iran's elected leadership — the presidency and top parliamentary posts — has had far fewer Western-educated figures. In the years after the 1979 Islamic Revolution, Western credentials were viewed with suspicion. Ahmadinejad, who studied in Iran, has strongly favored advisers who also have homegrown academic backgrounds. The review of potential candidates for economic roles includes Chamber of Commerce president Mohammad Nahavandian, who holds a doctorate in economics from George Washington University, and Mohammad Bagher Nobakht, who holds an economics doctorate from Paisley in Britain, and was spokesman of Rouhani's campaign office. A possible candidate for the critical oil ministry post is Mohammad Reza Nematzadeh, a former deputy oil minister and president of Iran's state oil company, who has an engineering degree from California State Polytechnic University. But speculation was growing that Rouhani could look to a former oil minister, Bijan Zanganeh, who was ousted when Ahmadinejad took office in 2005. Some semiofficial Iranian news agencies, including ISNA, cited sources saying that Rouhani will tap a former defense minister, Mohammed Forouzandeh, as the chief nuclear negotiator. Such a choice would bring a relative novice in international dialogue into a critical role. Rouhani's aides have not commented on the report, and other names such as former foreign minister Ali Akbar Velayati have been raised in the Iranian media. Other noteworthy possibilities include Ali Jannati as head of the Ministry of Culture and Islamic Guidance, where the wide-ranging mandate includes oversight of foreign media in Iran. 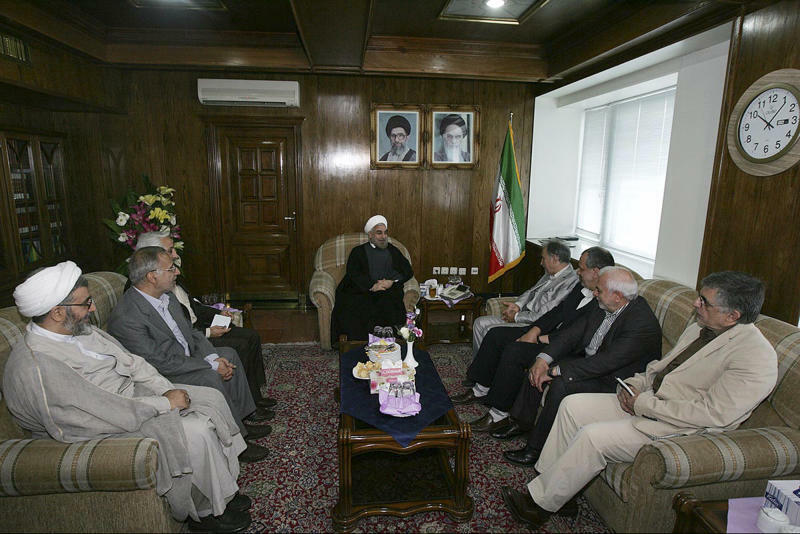 Jannati is considered a moderate, but his father, Ayatollah Ahmad Jannati, is an ultra hard-line cleric who often leads the nationally broadcast Friday prayers from Tehran University.